It took a couple chapters, but I'm in. I'm a convert. Let's bring that Mammoth back. 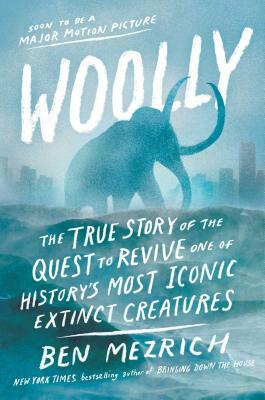 In Woolly, Ben Mezrich follows teams of scientists attempting to resurrect the Woolly Mammoth and details how they aim to do it and the ramifications of their possible success. It's not all man's hubris either, the benefits of bringing back this extinct animal could help curb the effects of climate change and may inadvertently lead to an eradication of a vicious strand of herpes threatening to wipe out the Asian Elephant population. It also tackles the inevitable Jurassic Park comparison head on and takes care to explain why this is not the same thing, and the science in that famous novel is ridiculous anyway. This book reads quickly and it's a fascinating study of how far we've come scientifically and how far we still may be able to go.